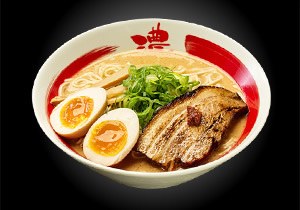 Ramen basically consists of a piping hot soup, noodles, and other ingredients and garnishes for flavor, and the soup itself is made from ingredients such as soy sauce, miso, salt, pork bones and various other ingredients. 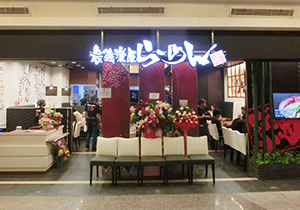 A ramen shop must pay particular attention to achieving excellent soup and noodles, with each shop constantly competing with each other to create the most delicious version possible, and it is from the results of this constant improvement and refinement of the soup and noodles that the Japanese noodle culture, famous across the globe, was born. 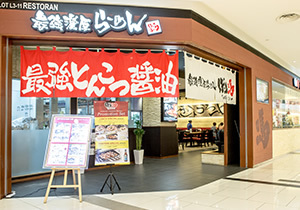 Besides the main product of ramen, the unique development of Japanese ramen is also related to the importance of factors such as the ambiance of a shop and the staff's hospitality. 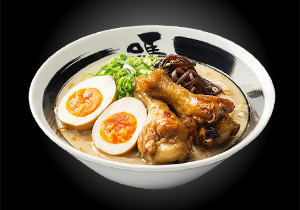 Ramen is truly a national dish of Japan, loved by young and old without regard for gender, region or season. BARI-UMA was established in 2003 in Hiroshima. 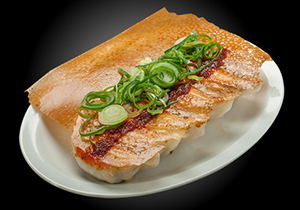 We continuously refined the taste of the BARI-UMA ramen, the product for which our shops are named, until we perfected our flavor that is loved by many persons all across Japan. 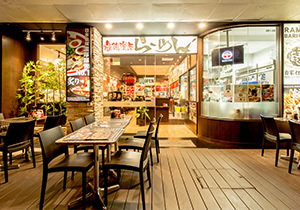 Not only has BARI-UMA been highly touted numerous times as a recommendable ramen shop, but our store in Singapore has been rewarded for its excellent service and flavor by being named in the Singapore Top 25 and receiving a Food Excellence Award among other accolades. BARI-UMA has not only received high praise for our shops in Japan, but those located in Singapore, Malaysia, Indonesia, Hong Kong and other countries have also received excellent reviews. What makes BARI-UMA special are our soups that we send directly from Japan, our noodles made fresh in each shop, and our perfectly grilled char-siu pork, and these are also the reasons why we would like persons all across the globe to enjoy our ramen. BARI-UMA © All Rights Reserved.